up through July 1980. 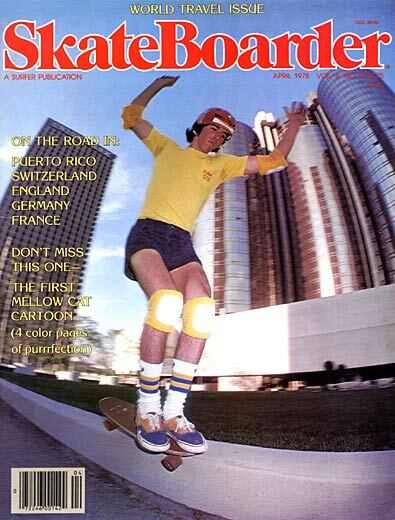 July 1980 was the final issue of Skateboarder magazine. appeal to a wider sports market. Action Now ceased publishing in 1982. I sometimes wonder if there are magazines outside the Action-Sports realm that are so much coveted by its readers. Dominique Savelli’s foreword on MyDadsFavoriteCover.com’s website is music to my ears: “I was a reader of the amazing magazines which inspired this exhibition. It wasn’t just about reading, there was a ritual, we all had a ritual and each reader had his own...” Dominique Savelli is talking about SkateBoarder, Thrasher, Surfer magazines and the exhibition he is talking about is My Dad’s Favorite Covers, a bouquet of skateboarder magazines on paintings. 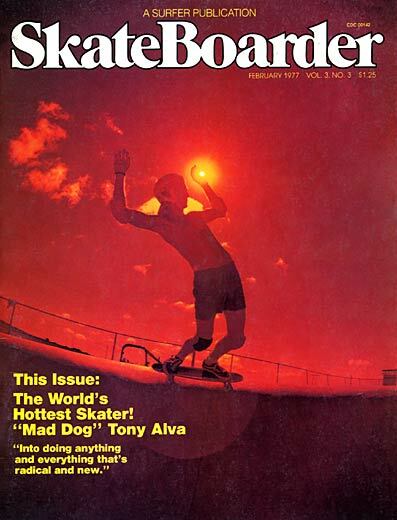 Dominique Savelli’s recollection of the magazines that upheld and saved skateboarding is striking…..
and you have to be a skateboarder to paint skateboarders. ﻿﻿ Mc Twist, he suffered a serious shoulder injury which needed one year of rehabilitation. Stef recalls that, a few months after Ben’s surgery, they were all looking at the Mc Gill painting “The movement was still in his head” says Stef and “ that’s probably why you can appreciate all the details between the muscles, wheels directions, angle of landing etc.” You have to be a skateboarder to shoot skateboarders, you have to be a skateboarder to write about skateboarders and you have to be a skateboarder to paint skateboarders. Benjamin Chasselon is both a painter and a skater but he is joking about him being able to land all kind of tricks with his pencils. He is part of the growing list of legendary skateboarder-artists like Ed Templeton, Cab, The Gonz, Lee Matasi, Lance Mountain, T.A., Chris Pastras, Neil Blender, Marc McKee, Wes Humpston, VCJ and many others… Welcome to the club Ben! Back in September 2010, when Stephane Andre first showed me 9 pictures of the painting at Vans skatepark at The Block (hey- where else? ), I thought it was the actual picture of the magazine and was waiting for the real stuff. Then I realized he was showing me the pictures of the paintings itself and I thought it was an excellent work. Before being presented to the US (Probably in San Diego, California this winter) the paintings will be showed in Paris! Where else??? The entire collection is now rich of 15 paintings and is ready to be showed in “Avant Premiere” on June 13 th to 18 th at COLETTE, 213 RUE SAINT-HONORÉ 75001 PARIS. The exhibition is from June 18 th to august 7 th 2011 during ”Public Domaine skateboard culture” at LA GAITE LYRIQUE, 3 BIS RUE PAPIN, 75003 PARIS. To learn more, log on to My Dad's Favorite Cover Facebook account... Or go to My Dad's Favorite Cover on Painting website.